WELL. This is DEFINITELY going on the holiday wish list. Looking for a unique gift for the dog-lover in your life? You're welcome. 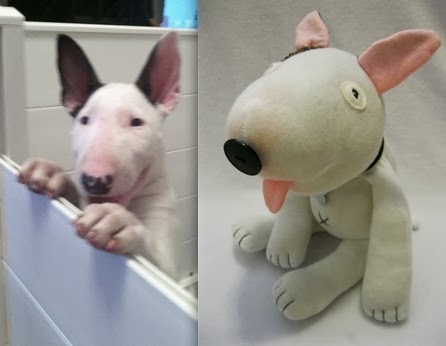 We are kind of obsessed with these sock based replicas of your four-legged pal. 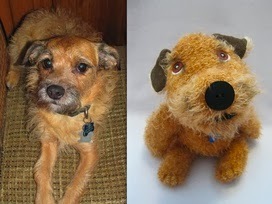 For $95, the folks at Original Sock Dogs are going to recreate your four-legged pal out of footwear accessories! Handmade in the USA, 10% of each sale is donated to shelter and rescue groups, which in the past have included Humane Society of Greater Kansas City and Angel City Bull Rescue. Look at these adorable little faces! We've had to wrap up our demo of the Tagg Tracker on the earlier side. We had our device on loan for two weeks, but Paddy is headed out to her grandparents for a few weeks and we wouldn't be able to get it back on time. Bummer, I know. So, where did we net out? Unfortunately, we didn't get too much time to actually test this out properly due to the technical issues we experienced and the fact that the Activity Tracker is currently being re-launched. Today was the first time that we got consistent/accurate updates which were really cool, and nice -- especially as we spent most of today on a plane half-way across the country. The one other draw back we encountered was battery life-- maybe it's something we're doing wrong, but we can't figure out why our battery only lasts 3-4 days before needing a charge. According to the handbook, we should at least get a few more. We were hoping to get a chance to use this device to keep a tab on Miss P while we're on the road and she's out on the Farm, but again-- timing got in the way. (This would have been a super cool use case!) 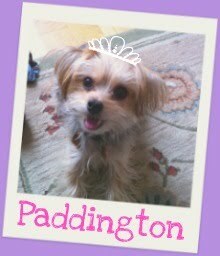 Same with keeping tabs on her while she's at daycare; alas, with the busy travel schedule of Paddy's PA (i.e. me), we won't get a chance to check it out. 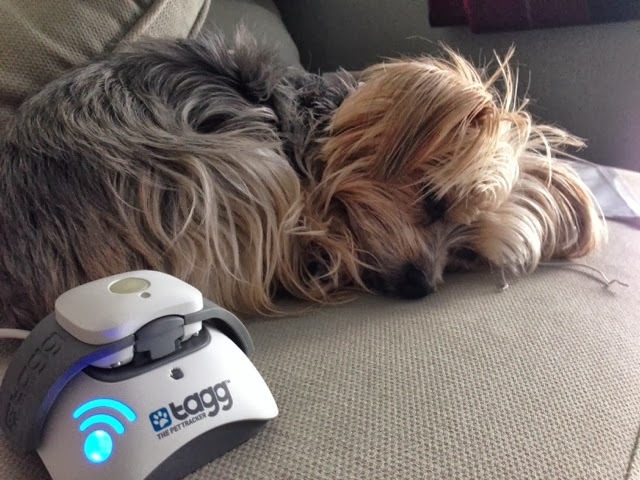 Here's our final take on the Tagg Tracker. Those with yards and dogs who have a free-roaming lifestyle. Anyone who has a dog that likes to take unauthorized solo trips. People who send their dogs out with dog-walkers, or to day-care. People who travel a lot and want to keep tabs on their dog on the go. Dogs under 10 lbs- while it worked on Paddy, it was a little too bulky to leave strapped on all the time in the apartment (also, our apartment is minuscule). Old, sedentary dogs that aren't going to go far without a human companion. People who are not patient with technology- as we mentioned, it took a fair amount of trouble shooting and research to figure out what the blinking lights meant and what exactly was going on. You'll need to download the app to your smart phone to really get the most out of it. If you fall into the "pass" category, the Tagg is probably not the best investment-- especially considering the cost involved with the 4G subscription. However, if your dog is active and out n' about, we say take a look. It may be worthwhile to wait until they've ironed out all of the technical issues and re-launched the Activity Tracker though. (Again, maybe we just tested this out during a bad week- technology isn't perfect!) We are currently going to hold off on investing in one of our own for now in the hopes that there will be a smaller version in the near future. Overall, very grateful that we got a chance to check this gadget out-- just wish we had been able to spend more time utilizing the features. If you're in the market for Tagg-- they're still on sale until 10/31 via their website and code BOO13. Disclaimer: This device was provided by PR for a fair and honest review. For more information, please see our blog disclaimer for our review policy. Get Those Costumes Ready! #SEEPAWS is Almost Here! It's kind of crazy to think that it's been almost a year since NYC battened down the hatches and prepared to face Hurricane Sandy. While we fortunately escaped the worst of the storm, our friends down at the South Street Seaport weren't so lucky. Some of our favorite haunts like The Salty Paw, have only recently been able to get back on their four paws (which we're so happy about! ), which is why we were thrilled to hear about the SEE PAWS Halloween event. Hosted by sponsors like The Salty Paw and Paws on Pine to name two, this event is scheduled to be held on Saturday, October 26th at 2 PM at the South Street Seaport. 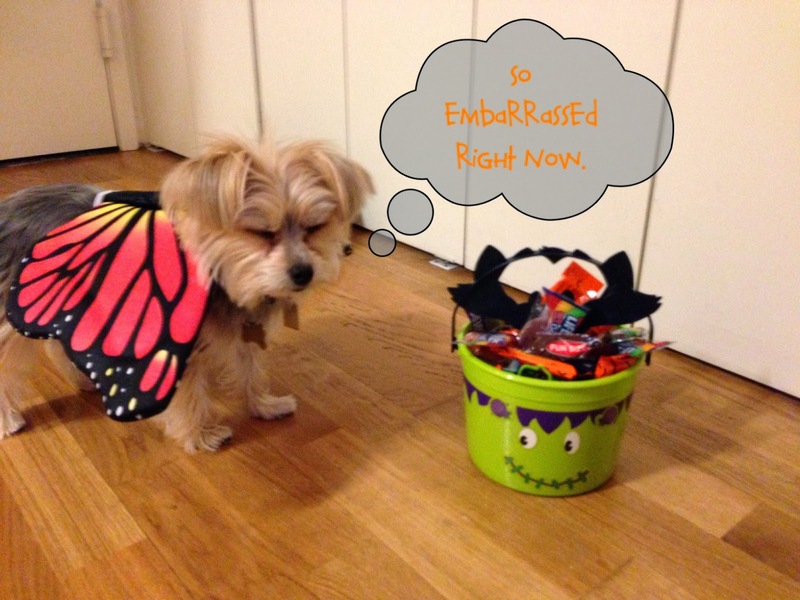 In addition to adorable pets in costume, there are wonderful prizes to be won by entering their costume contest. 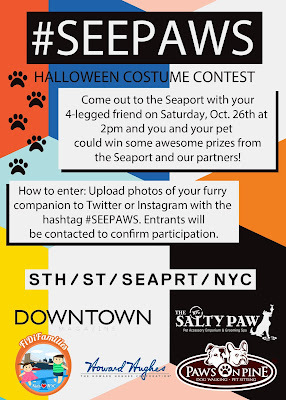 To enter, head down to the Seaport or use hashtag #SEEPAWS on Twitter or Instagram. For more information, click here. Will you be there? 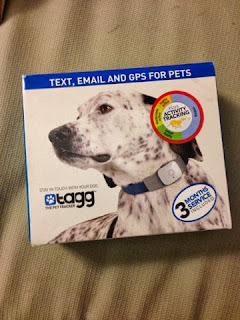 We are so excited to be testing out the Tagg pet tracker for the next two weeks! This portable little GPS system attaches to your dog's collar to provide you with location updates via text/email. 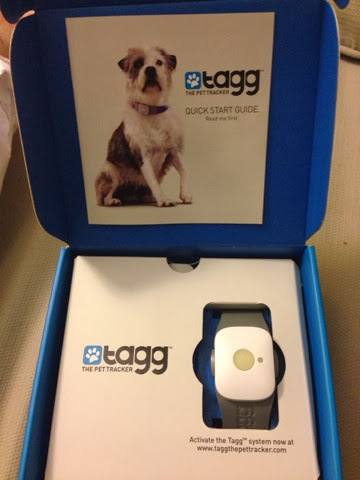 In addition to helping you locate an adventurous wandered, the Tagg can track your dog's daily activity and share information about your pet with your vet. Think of it as the canine FitBit! So far, setup has been a breeze and we've downloaded the Tagg app to our iPhone. While we were slightly worried that the unit was going to be bulky/too big on our little 6 lb Morkie, so far she seems to be adjusting. Since the Tagg is designed for dogs that are around 10lbs, it is a little heavy on her collar and doesn't rest at the back of her neck, but we're going to play around with adjustments. Really looking forward to trying this out as we're looking at moving to the suburbs in the next year (GASP), where Paddy will have much more outdoor freedom. Disclaimer: The Tagg tracker device was provided by PR for the purposes of review. It shouldn't come as a surprise that we're a little bit picky about the grooming products we use at home. 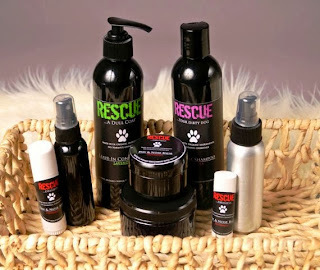 While there's something to be said for some of the "salon" brands, we're often more drawn to more fur-friendly and chemical-free picks, like RESCUE...Pet Products. Handmade to order, these organic pet products were created by a veterinary technician who donates a percentage of profits to local animal shelters and other organizations. In addition to her wide range of products, from paw and nose balm (vegan friendly!) to anti-itch shampoo, RESCUE Pet Products also offers travel/sample sized options which are PERFECT for packing. What a brilliant idea! Head over to their Etsy store to pick up yours today-- and make sure to check out their shop announcement which includes discounts for Facebook fans and folks in the pet industry.